Bryant McIntosh brings the ball up. The senior guard leads a Wildcats squad searching for more crucial victories against Maryland. Three years ago, Northwestern made its first-ever trip to College Park, Maryland. Two hours later, it left heartbroken, falling by one point on a putback layup with one second on the clock. Senior guard Bryant McIntosh, then a mere freshman, said that play has stuck with him all this time. Fellow senior guard Scottie Lindsey was there, too. On Saturday, the two, now captains, will get both an opportunity for revenge — and the Wildcats’ first win at Maryland in program history while they’re at it. NU (15-10, 6-6 Big Ten) is just 0-2 all time in College Park, following up that devastating defeat from 2015 with an overtime loss in 2016. The Cats did snap their hex somewhat by routing the Terrapins in last year’s Big Ten Tournament, their first win against Maryland since December 1958. This season’s Terrapins team, (16-10, 5-8) hurt by the loss of forward Justin Jackson to a season-ending injury just after Christmas, is arguably the most beatable the Cats have encountered, though. They’ve lost four of their last five games — over the same stretch that NU has won four of five — and are coming off a demoralizing loss to a Penn State team that Maryland desperately needs to catch in the standings. 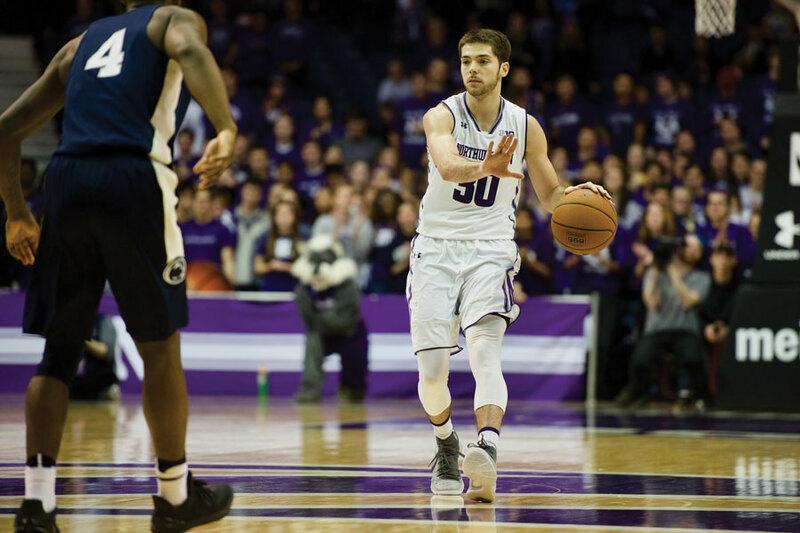 Coach Chris Collins said the Terrapins’ abnormally undersized roster, featuring four guards in the starting lineup, will pose an atypical challenge for the zone defense that the Cats have employed so successfully of late. Anthony Cowan Jr. and Kevin Huerter compose the vast majority of Maryland’s offense. Both guards average more points per game than NU’s leading scorer, but no other Terrapins are averaging even double digits this year. Huerter and bench scorer Jared Nickens are dangerous threats from deep, too, both ranking among the top 11 in the conference in 3-point shooting percentage. McIntosh said he’s focused on defensively stopping the explosive Cowan while maintaining the shooting rhythm he developed in Tuesday’s win over Michigan. A win Saturday would not only break the Cats’ drought in College Park, but also pull them above .500 in conference play for the first time since December, tying Penn State for sixth in the Big Ten. With the postseason baring down at rapid speed, Collins said that reality should be motivation enough for his squad. A previous version of this story misstated how long it’s been since the Cats were above .500 in conference play. They were above .500 in December. The Daily regrets the error.